Pamper Casino players can expect to be pampered inside the venue. They will get to participate in numerous promotions. Some of them are quite unique in consideration of what is available inside the industry. The games are just as exciting! A huge variety of games are featured with the software. If that were not enough, the website continues to add new games. In fact, a new slot machine is added every forty-five days. The tournaments are another great feature. All players can clearly see that the odds of winning have been seriously increased for the tournaments. The promotion & bonuses section shows five deals that are currently available to players. If it sounds too good to be true, then it typically is. Please note the extremely high bonuses offered by this site. All deposits of $20 - $500 can be rewarded with a 225% live dealer bonus. The Pamper Casino Bonus deal has a special coupon code (225Live). Another nice deal is associated with the slots. The 2000% bonus is provided with a deposit of $20 - $200 (Coupon Code: 2000SLOTS). A big bonus is also associated with video poker. It is a 500% bonus that requires a deposit of $20 - $300. The last game-associated deal is revealed in connection with blackjack. It is a 300% bonus on all deposits between $20 - $500. Besides these game-specific promotions, the casino has $10,000 bonus, which is given out as part of the monthly jackpot tournament. The credit cards options are not all that different from what is allowed by the competition. All standard credit cards are given a pass including; Visa and MasterCard. Furthermore, the casino has allowed other options such as; EntroPay, Skrill, Neteller and Money Order. At the bottom of the page, the website also lists the various browsers that are supported for the games. A few social media links are also included. Plenty of countries have been featured in the list which shows the access restrictions. The players from the following countries cannot redeem casino bonuses (this is just a sample); China, Czech Republic, Bulgaria, Estonia, Hungary, Finland, Latvia, Lithuania, Poland, Sweden, Romania, Russia, Serbia, Turkey, Ukraine, etc. The website gets traffic from the most unexpected locations. It is particularity popular among visitors from Germany, Spain, France and Italy. The players from English-speaking countries also add a huge deal to the traffic. There is an actual category with popular games. In that category, the player can find the following titles; Halloween, Crazy Monkey, Sugarpop, Treasure of the Nile, BC Bonus (Mobile), Kung Fu Cash (Mobile), High Noon Saloon (Mobile), Vegas Slot III (Mobile), Cash Detective (Mobile), Big Top Circus (Mobile) & Slot Contraption. 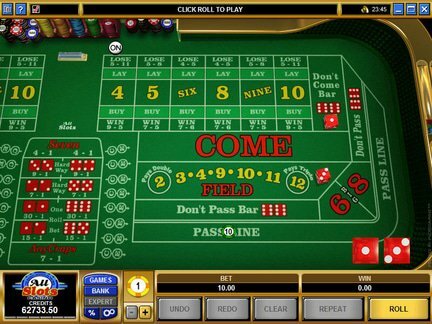 The players can choose to play games from numerous software providers including; Betsoft, Playtech, Novomatic, Concept, Bee Games, NetEnt and Premium Games. In terms of the game categories, the visitors can expect to find standard slots, 3D slots, table games & video poker. It must be said that the player evaluations do not sound all that encouraging. The user ratings reveal a casino with a below standard operation. The customer support service has been heavily criticized. In many cases, the winnings cannot be picked up by players due to various demands. The casino support section allows the player to submit a ticket and wait for an answer. That response may not come quickly. The casino is run from Costa Rica. The Operia Costa Rica Sociedad De Responsabilidad Limitada acts as the operator. The licensing process isn't explained. The players who were looking for marks of trustworthiness will be disappointed by the lack of crucial information concerning the licensing body.. I would be happy to recommend the Pamper Casino's game offer. The number of game providers is highly impressive. It looks like the games are carefully chosen. The fact that I could test so many software providers makes me genuinely excited. NetEnt and Playtech games feature some remarkable graphics. It's no wonder that the players have been flocking here just to see the games. I can understand the appeal. At the same time, I wish that the casino would improve in its dealings with players and the complaints would be treated more seriously. There are way too many complaints from the visitors. This behavior does not inspire trust.